Racer comments from Victoria's seventh and final round of the year. 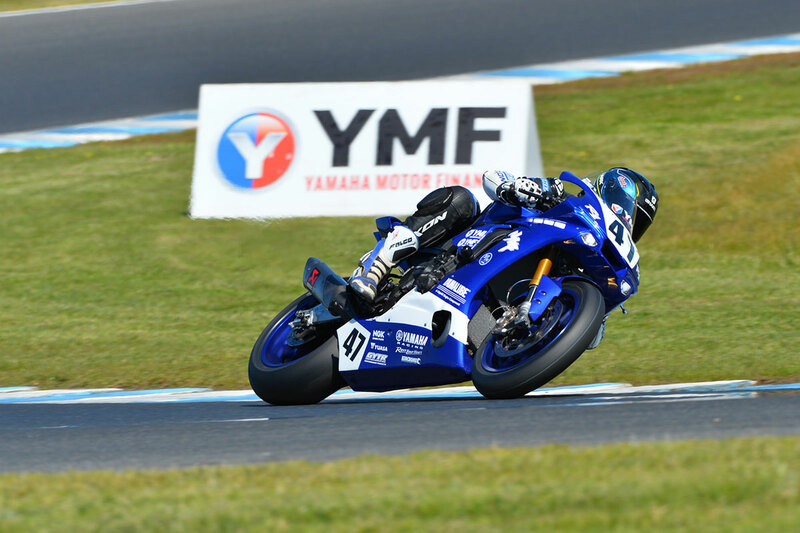 A selection of riders detail their day at Phillip Island’s seventh round of the 2018 Yamaha Motor Finance Australian Superbike Championship (ASBK) presented by Motul Pirelli. Team and privateer competitors can submit comments to [email protected] by Monday afternoon following events for inclusion in the post-event Quotebook feature. Overall it was nice to finish the way we did with another top three. I’m happy with second place overall for the final round, considering the year which we have had. We have had a few DNFs, so it’s nice to round the year out with a podium finish and reward the team and our sponsors this result. I have to say a massive thanks to the whole Yamaha Racing Team, as everyone has worked so hard this year to supply me a great motorcycle to go racing on. Fifth overall in the championship for our first year in the factory Yamaha team is not too bad. I want to thank John Redding, Kev Marshall, Jeff Dillon and my side of the garage for all the help and support they have given me this year. The team have always supplied me with a fantastic bike to go racing on, which is a huge credit to them. Today was the most fun I’ve had on the bike all year. We made some really good progress because we tried something after the warm-up that I thought wasn’t going to work, but we did it and it actually put us in the right direction. I’m so happy! It was good to be part of the game, always great when things turn around and it gives me motivation to stay on the bike. I was thinking as I was going around in both races that ‘this is a damn good race’ – especially the second one as there were four of us up there. That’s what people want to see and it could’ve been anyone’s. I have to say thank to our DesmoSport Ducati crew and all the work they’ve put it in, it’s our last race of the year and our best result of the year! It was a tough one to swallow with a bit of bad luck throughout the weekend. We showed a lot of potential in certain areas, even though it looked like we had a rough go of it. The ideal lap in race one was in the low 1m32s, so I had a bit of pace, but I just got pushed into turn one and ran wide. Race two, I just didn’t get going. 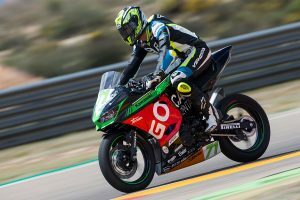 On the warm-up lap I realised my footpeg was going to fall off, so I just rode around to show that I wasn’t going to give up and to finish the race. I’m really happy to win the Australian championship and I’m looking forward to my first ride with the number one plate! It’s been a fantastic season taking out five of seven rounds wins, which is a credit to the Penrite Honda Racing crew. It was an enjoyable race two. Second in the race was really good. 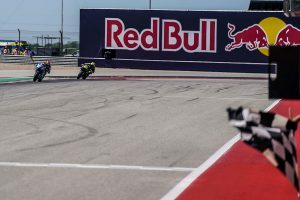 I didn’t play out the last lap in the best way, but it could’ve been anyone’s race really – I was probably a bit of a sucker on the last lap, but we had been fighting so hard for the duration of the race and that’s just how it goes. I’m really happy with a podium to finish the season. 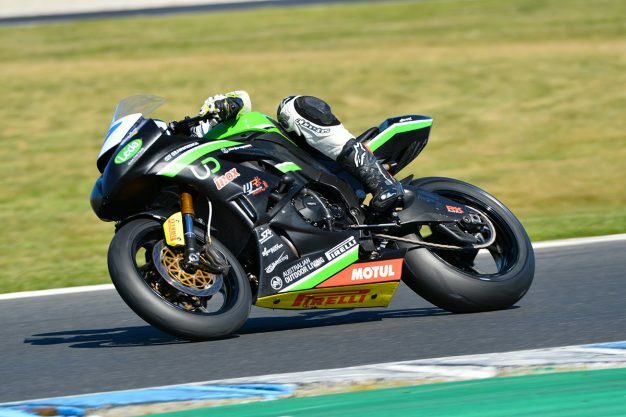 We were very competitive all weekend here at Phillip Island and it was important to finish on a high for myself, Dunlop and Kawasaki BCperformance. We didn’t get the championship result we dreamed of, but it was a good year. To be honest, I’m not too happy with the result. 15th overall was not what I was aiming for, but I’ve really struggled here in the past and I was happy with the lap-time I was able to do. Not much went my way this weekend, but in saying that I’ve improved on my best time here at Phillip Island. Overall, it’s not so bad and it’s been a pretty good year for me. 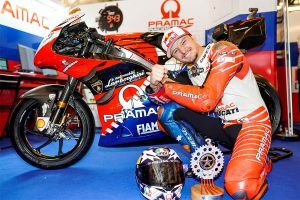 The set-up has felt really good in the last couple of rounds and I recorded my best lap-time at Phillip Island. Race one wasn’t too bad and managed to claw back a few points on [Alex] Phillis, which was the main objective to take the privateer championship. In the second race I got a better start and was happy with it, saw some people have bad luck and I just kept pushing on. I made my way to fifth in the race, which was enough to win the privateer championship and it’s really nice to meet our goal and target. We’ve had a number of DNFs out of everybody’s control, so it’s really rewarding to come through with the top privateer award and the guys in the pits who are largely my family and mates have worked so hard and it’s been great. It’s a reward for them and it’s a reward for me, especially having a pretty good time doing it as well. We’re really thankful to finish the year on a high. with a strong finish. I can’t thank my team and all of our sponsors enough for continuing to support us and helping get us compete at every round. Without everyone who has played a part in getting us to this point, I simply wouldn’t have been able to race, so these results are as much theirs as they are mine. I am really disappointed with my mistake in race one. I got a great start and had a good few opening laps, however I had a hairy moment out of turn one which resulted in me running off track in turn two. I lost a lot of time and could only salvage 19th, which is our worst result of the year. Race two I was determined to change our luck and bring home a solid result for myself and the team. I grabbed another great start and fought a hard race to finish in eighth, our best result of the season. It was an awesome way to end the season and it proved that with a good off season we can progress our way up the ASBK field. I’m glad the bike didn’t highside me and just slid out. It was a strange crash, as it happened late in the corner. Mistakes happen and I’m glad that it happened after we won the championship at the previous round. Hats off to the team, the Yamaha YZF-R6 has worked unreal this weekend and throughout the whole year – it’s a shame the year ended with a crash. In saying that, we have been flawless all year, you are allowed one hiccup here and there. Other than that, it was a good round, of course not the result we were looking for. We have found pace around here, which we have never had before, which is a positive to take away from the round. It was a weird weekend for me, it took some time to get up to speed so qualifying was quite tough. Race one was good, but I made a few mistakes and got caught up with Max [Croker] and then it was unfortunate to get taken out because I really wanted to win the overall at the last round. But anyway, race two was good and it was shaping up to be a good race until Cru [Halliday] crashed out. I just stayed consistent and went on to win, which was really positive to finish the season that way. It’s definitely been a tough year, but we learned a lot and I’m happy to finish second in points. A big thanks to the Cube Racing team. It’s nice to be able to end the year on a high note, by finishing sixth for the round. To be able to guide the Ausfleet/Navarone Accident & Vehicle Repair Centre/Savy Civil/Rebuilder Yamaha R6 to a fifth place in race one was a really positive race for the team and I. We came into this weekend wanting to secure fifth place in the championship and we did that. It’s simply amazing, as it’s what the team and I pinned our hopes on for our debut year in the class. It has been an up-and-down year with some highs and also some lows, but it’s great to finish the year off like this and reward everyone involved for all their hard work. I would personally like to thank my family for the support they put into my racing and most importantly, our team sponsors. Without them, we would not be here, so a massive thanks to everyone and, of course, all the support.